DHA – What is it and What are the Benefits? DHA is a shortened term for docosahexaenoic acid. It is an omega-3 fatty acid that has been linked to healthy eyes by scientific studies and doctors. DHA is a fatty acid that is essential to our health, but it must be obtained through our foods – the human body cannot create it itself. For this reason, it is extremely important to eat enough of the foods that can give our bodies this fatty acid. Your diet is a direct link to your eye’s ability to obtain this important fatty acid, and therefore your eye health as well! The good news is, with a little effort it is not difficult to fit DHA into your diet. Read on to learn about what foods contain DHA, how much you need, and more! DHA foods – what should you eat? There are two types of essential omega fatty acids that are present in our foods. 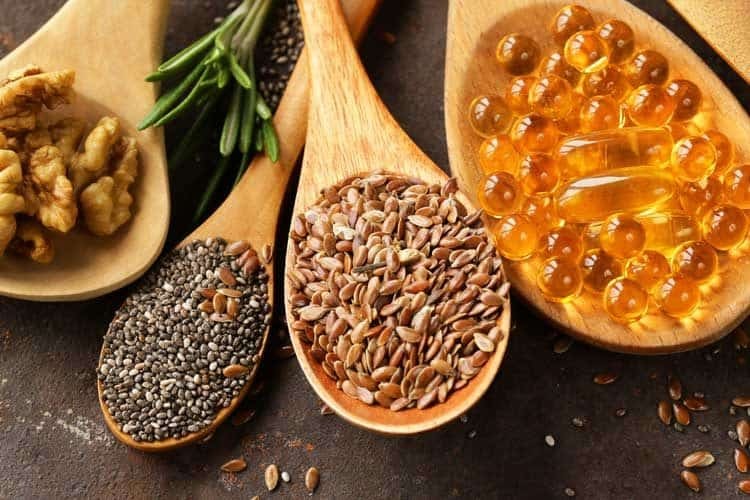 Omega-6 fatty acids and omega-3 fatty acids are both necessary and important, but according to All About Vision, it is important that we consume these foods in the right ratio: “Most experts believe the ratio of omega-6 to omega-3 fatty acids in a healthy diet should be 4-to-1 or lower. 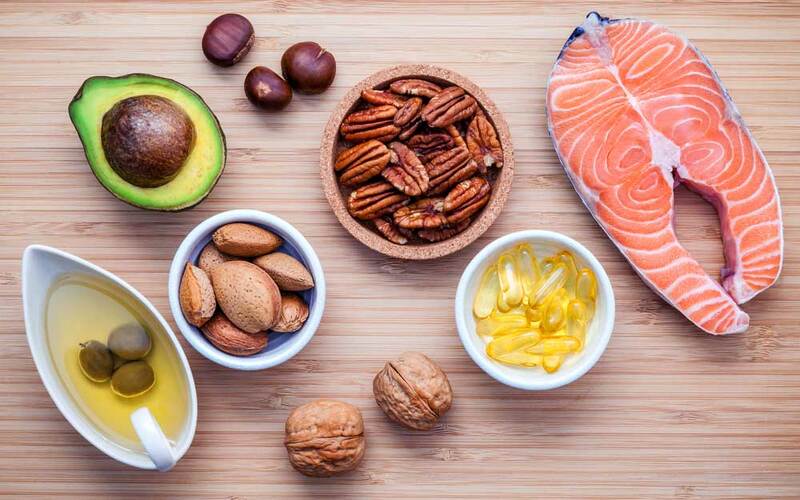 Unfortunately, the typical American diet, characterized by significant amounts of meat and processed foods, tends to contain 10 to 30 times more omega-6 than omega-3 fatty acids”. DHA is an omega-3 fatty acid, so Americans often do not consume enough of it. Omega-6 fatty acids are present in many foods that Americans consume every day. Poultry, nuts, vegetable oils, eggs, and whole grain bread are all high in omega-6 fatty acids. These are staples in many people’s diets so it is easy to see how Americans could be consuming much more omega-6 fatty acid than they need. Omega-3 fatty acids are a bit less common so it is important to make an effort to fit them into your diet. The best source of omega-3 fatty acids for eye health is cold-water fish. All About Vision recommends a diet high in “sardines, herring, salmon and tuna” to reduce the risk of eye diseases. The American Heart Association also recommends consuming fish twice per week. Anchovies and salmon are the most omega-3 rich choices, followed by sardines, oysters, crabs, and shrimp. If you aren’t a fish lover, however, you don’t need to fret. Fish oil supplements are also a great source of omega-3 fatty acids and you can skip the fish for dinner. Plant and nut oils also contain DHA and there are vegetarian supplement options as well. DHA is beneficial for your eyes, but also the rest of your body as well! WebMD cites adequate amounts of DHA reducing the risk of macular degeneration, Alzheimer’s disease, stroke, cognitive declination, prostate cancer, and unhealthy or damaged arteries. As far as the eyes are concerned, DHA has been linked to adult eye health as well as the proper development of vision in infants. DHA is present in breast milk and is often an ingredient in baby formula to ensure that infants are receiving the DHA that they need for their vision to develop. Adequate DHA in the diet of pregnant women is also necessary for their baby’s eye health. There is overwhelming evidence that the consumption of DHA and other omega-3 fatty acids drastically reduces your chances of developing macular degeneration, a disease that causes vision loss. There is currently no cure for macular degeneration so prevention is very important. Omega-3 fatty acids are also linked to dry eye prevention. EPA, or eicosapentaenoic acid, is another omega-3 fatty acid that is linked to a healthier existence. A study in the international journal, “Advances in Nutrition” cites EPA and DHA as being “important for proper fetal development, including neuronal, retinal, and immune function. EPA and DHA may affect many aspects of cardiovascular function including inflammation, peripheral artery disease, major coronary events, and anticoagulation”. Consuming enough omega-3 fatty acids, both EPA and DHA, is essential for healthy eyes and a healthy heart. Read on to learn about other foods that promote both eye health as well as overall health. You already know that fish is good for your eyes, but there are many other foods that promote eye health as well. Incorporating these foods into your diet can help to keep your eyes healthy and vision strong – not to mention keeping the rest of your body healthy as well! Leafy greens are a prime example of foods that are not only good for your eyes due to their lutein and zeaxanthin, but also good for your body as a whole. Our parents didn’t say “eat your greens” for nothing! Eggs are another healthy choice with lutein as well as Vitamin A which may help to prevent dryness of the eyes. Substantial quantities of vitamin A can also be found in colorful fruits and veggies such as tomatoes, pumpkins, strawberries, and carrots. Whole grains, citrus fruits, and berries are all foods that are generally accepted as healthy choices, but they also benefit the eyes by reducing your risk of macular degeneration. Until now you may have thought that supporting your eye health was limited to visiting your eye doctor from time to time and being sure not to stare at your computer screen for too long, but make sure to keep in mind your diet as well. Not only are omega-3 fatty acids important for your vision, they are also important for your overall health. Consuming fish or fish oil supplements is a crucial part of maintaining the nutrients that your body needs to function at its best. Proper consumption of omega-3 fatty acids is important from the time that you are a fetus throughout adulthood. Consuming a varied diet that is rich in fish, whole grains, fruits, and vegetables will provide your body with the tools that it needs to thrive. Just wait and see – your eyes will thank you!